7.3 Is the American Dream Gone? C. Is the American Dream Gone? The American Dream began as a journey from oppressive Great Britain to a new land. Those seeking religious freedom came to North America and formed the thirteen colonies so they may pursue a life filled with happiness and upward mobility. However, not everyone got what they wanted and soon the American Dream became an American Nightmare for some. That didn’t stop however, new immigrants from coming and trying to chase their own version of this time old wish. 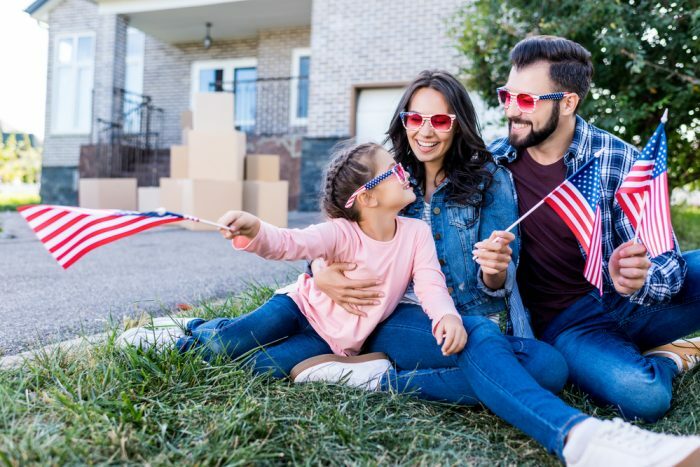 Although the versions of the American Dream have changed throughout the centuries, people still maintain a strong desire to make it and come to the United States to see what life there can offer. The past and the present remind Americans what the American Dream consisted and consist of; that is where this will essay will go to understand why such a notion has persisted since the first settlers came to shore. The roots of the American Dream first began when the first British settlers came to North America to form what would be known as the thirteen colonies. They sought freedom from religious persecution in Great Britain (Caldwell, 2011). Some decided to head towards the east coast of North America to practice their beliefs and make money for themselves and their families. It was hard for many that came. They endured hardships and conflicts with the Natives that lived there. Still, a few colonists managed to make life in the colonies profitable and built their homes and businesses accordingly. Some say the American dream has a strong foundation of individualism. “The American Dream was built on the rough foundation of American individualism, a revolutionary substance unlike anything the world had seen before” (Caldwell, 2011, p. 11). Those that came, did so because they wanted the liberty of being their own person. For the British colonists, they wanted not only a new start, but a new identity, away from the ones they left on the British shores. While the symbolism of the American Dream came from the settlers to what is now the United States, the actual phrase existed centuries later. Stuck Writing Your American Dream Essay? The true origin of the phrase was first mentioned in 1931, by a middlebrow historian James Truslow Adams in his book The Epic of America. In this book, the phrase appears for the first time in the Preface, when Adams refers to the ‘American dream of a better, richer, and happier life,’ adding that ‘that dream or hope has been present from the start’ (Kochan, 2007, p. 210). To someone like James Truslow Adams, the American Dream meant a strong sense of hope and desire that fueled the long journey to a better life. Many people that have come to the United States had hope in their eyes when they entered through Ellis Island. That hope persisted even when things did not lead to a better, richer, happier life. Many that crossed the border into America whether legally or illegally has experienced hardships that make them question if the move to this seemingly prosperous nation was a good idea. Even those that were born in the United States with immigrant parents feel as though the United States is not a home, rather a temporary base. Such a sentiment could be for many reasons. The stagnant economy, the multiple recessions could be one reason. The lack of quality and affordable education and healthcare could be another. People coming to this country are experiencing regret because their picture of the American Dream has been shattered. This leads to what the American Dream consists of today. People who have grown up looking towards America, thinking as adults about achieving the American Dream, have seen an evolution of such a notion throughout the years. Back then, the American Dream signified hope and a life of happiness, a fresh start. In the modern world and especially in the last few decades, the American Dream has taken on the form of materialism and financial security. “The American Dream is usually defined in terms of financial security, homeownership and higher education” (Currier, 2015). When people think of the American Dream, they think of owning a home. This is because home buying has been part of the American reality for many people in the 1950’s. People could buy homes with relatively little money, and pay off their mortgages in 30 to 40 years. They could buy a car, own it, and have it to pass down to their children. It was comforting to people living in 1950’s America to know that they could afford independence and upward mobility. While it was something that existed in the earlier part of the 20th century, the Great Depression and the World Wars brought tough times and a harsh, economic reality. People did not have a chance to enjoy life, much less try to better themselves for the future of their families and themselves. When the shift towards economic prosperity happened in the 1950’s that was when Americans could take the time to improve themselves and reach towards the goal of upward mobility. That was when several of these Americans began attending college to improve their career prospects. The last part of the modern American Dream, higher education, originated from children of the 1950’s attending and graduating from college. Kids graduated and acquired gainful employment right after graduation, continuing the cycle of stability and upward mobility with their children. This ‘ladder’ shifted the mentality of Americans towards the American Dream, transforming it into a desire to own something and to learn. People from everywhere saw the United States as part of a golden age where people could make something of themselves if they worked hard. They could gain the home and the education that they wanted. Looking at countries like England where classism was and is intrinsically connected to culture and society, America was the opposite. In many people’s eyes people did not have to come from wealth to be wealthy. Famous businessmen like John D. Rockefeller came from humble beginnings and quickly became one of the richest men of America thanks to hard work and good business acumen (Chernow, 2010). However, another part of the modern American Dream emerged as well. That is the rags to riches story. The rags to riches story is what many people in the United States who have little money, hope to achieve. Writers like J.K. Rowling, singers like Adele, they grew up impoverished and lived some of their adult life with little chance of upward mobility. But because they were talented and had some good luck, right timing, they managed to overcome their poverty and reach a milestone of success and economic freedom they only imagined. This is what many working-class people in the United States would like to achieve. However, most people from the lower-income bracket barely achieve upward mobility within a generation. With the increasingly unstable economic climate nationally and worldwide, the perceived prospects look grim. “Recent polling shows that Americans feel increasingly financially insecure, perhaps in part because of this lack of mobility out of the bottom rung of the economic ladder. It’s no surprise, then, that for many the American Dream may feel out of reach” (Currier, 2015). What does this all mean? It means people have lost hope. Some no longer believe in a fresh start or a chance at a better life because the new version of the American Dream seems unattainable. People have lost their hope for a better life. A lot of it has to do with the continued economic instability of the United States. The United States ‘Golden Era’, the 1950’s, catapulted the American Dream back onto centerstage. However, now that the Golden Era’s dust has settled and blown to the wayside, there is little left for this generation and the next to live from, much less use. This leads to the idea of the American Dream disappearing. When things become difficult to manage and people have no hope left for improvement in their situations, what can belief in the American Dream hope to accomplish? For some, belief simply leads to disappointment and bitter feelings. This was seen after the last few presidencies. Some Americans felt discouraged concerning the future of the country’s job market and decided to take a step towards what they thought would bring true prosperity. Yet true prosperity has evaded but a few million people in the United States. The rest remain in debt, working dead-end jobs, demonstrating the effects of back-to-back recessions. But there still may be hope for the American Dream. The American Dream may seem like it has faded to the wayside. However, it may just exist in a new and evolved form. Is the American Dream Gone? The United States has experienced multiple recessions in the last decade. With the global economy shrinking as well, the once rich and powerful country has begun to seem like a disappointment more than an opportunity. People have noted in recent years, to pursue any form of upward mobility in the United States is to hit a brick wall. That is because jobs do not pay as well or offer as many hours as they used to. Interest rates for savings accounts are near zero, discouraging people from saving. It all leads to a nation of debt filled constant loss and instability. This was not the America from three, four decades ago. People back then could earn enough to save each week and have enough money after a few years or decades, to purchase a home. “Previously in America, Jim the butcher put a percentage of his weekly earnings into his savings account for a few decades and watched it grow with satisfaction. He could retire in relative comfort with or without supplementation from Social Security” (Carson, 2016). As previously mentioned, the modern American Dream is about owning a home, a car, and graduating from college. Now, this seems like an impossible task for many that live in the United States, especially for recent immigrants. Gone are the days where people can apply for an entry level job right after high school or college. Today’s job market is filled with competition for even low-wage jobs, and the need to multi-task. Those that find work in the United States do so because they are often multi-lingual, own a car, and can work for free at some point. The ones that do not find work, feel their economic prospects shrink as each year passes. People at the top of the economic ladder, pay themselves more and more, and none or very little, is shared with the middle class. In the past, this was not the case. “Wilson did not get massive grants of stock options, which were taboo in the era when management shared prosperity with middle-class employees” (Smith, 2012, p. 89). So then how do Americans feel now with the economic climate seemingly against them? “But many Americans say they remain doubtful about economic opportunity and the ability to move up the ladder. A new poll by The New York Times found the public is more pessimistic than it was right after the financial collapse” (PBS, 2014). If people feel the American Dream is non-existent because of touch economic times, has the American Dream truly died? The answer is not yet. The American Dream has not died because people are still able to make their dreams come true in the United States, just not on a level that is possible for most people. The kind of American Dream that persists even during the difficult economic times is the dream of starting with nothing and becoming rich and successful. A few good examples of this are Bill Gates and Mark Zuckerberg. These entrepreneurs took the risk and had the talent to rise above everyone else and achieve amazing success. That version of the American Dream continues. However, there is another American Dream that has formed in lieu of the traditional one. That is doing better than one’s parents. This can be seen in the new wave of immigrants that come to the United States in search of a better life. The recent immigrants of today and the last few decades have been Hispanic and Latino people from the Americas. They come to the United States to escape from the dangers and instability of their home country. Often, they come with very, little money or belongings and work difficult jobs to ensure a future for themselves and their loved ones. They may not reach their final aims, but many have provided for their children enough so they could become doctors, lawyers, and even a Supreme Court Justice of the United States. It is still a struggle for these immigrants and their children and many in the United States that see the progress they make, feel it is slow and almost nonexistent. That is because, the modern American Dream is measured by academic and financial success. However, one article notes, the real modern American Dream is about doing better than one’s parents. “Americans have been measuring the American Dream by the make of your car and the prestige of the college degree on your wall. But there’s a more elemental calculation: Whether you achieved more than the generation that came before you” (Lee, 2014). The children of Hispanic and Latino immigrants are doing better than their parents. They are graduating high school and earning college degrees. It may not be at the level as other immigrants, but they are reaching a point that will lead to their offspring being better off and so forth. The course of the United States has taken many turns and zig zags. Nevertheless, these new immigrants are breathing life back into a country that has been filled with constant disappointment and anger. Even though not all immigrants want to achieve the American Dream, the ones that do, do so keeping in mind the pursuit of a fresh start and a better life. That is reminiscent of the original American Dream, bringing everything, full circle. What began as a dream for a few British citizens looking for religious freedom, quickly inspired people from all over the world to seek a new start. There were so many that sought to reap from the new land a chance at wealth, stability, upward mobility, and most importantly hope. It may have changed throughout the decades, but the core of the American Dream has always remained. That hope is the underpinning of every immigrant struggle and of every effort made to come to the United States and achieve something meaningful. That is why the American Dream is something that will always live on even after the countries boundaries have faded. Many say the American Dream is gone. That is not the case, at least for the new immigrants that come to the United States. What was once the dream of British colonists transformed into the dream of anyone, anywhere who wanted a second chance. So many people across the globe suffer and endure many hardships. They come to the United States in hopes of starting anew and escaping the life of burden they had in their homeland. While many still suffer once they relocate to the U.S., others have achieved a new start, a better life for their themselves and their children. The latest immigrants, Hispanics and Latinos from South, North, and Central America, come to the United States to escape persecution, an unstable government, and lack of employment. The ones that make it in America do so because of hard work, some luck, and a lot of persistence. Such effort is reminiscent of the British colonists of the 17th and 18th centuries. They came from nothing and arrived at a new world, creating what would be the foundation of the American Dream and the country itself. Yes, the American Dream has changed in many ways because people and times have changed. However, that does not mean it has died or it has been forgotten. If anything, it endures and will continue to endure as long as the United States continues to exist. People will always want a chance at upward mobility. The United States is a place that can change someone’s life for the better. Caldwell, W. W. (2011). Cynicism and the evolution of the American dream. Washington, DC: Potomac Books, Inc.
Kochan, S. (2007). The Great Gatsby and the American Dream. Mu?nchen: GRIN Verlag. The American Dream is synonymous with immigration to the United States and achieving the aim of a better life. Although the image once painted has changed as has the different kinds of immigrants who have come, the same desires, the same ambitions, the same hopes are there. Life’s best moments do not come from everyday routine, but the dreams and the wishes that come true through hard work and determination. 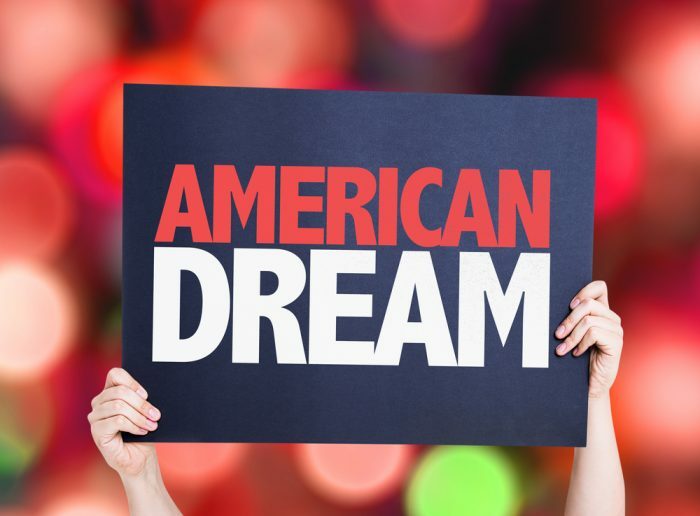 This American Dream essay example is just one of many essays provided here to help you make your dreams come true in school and hopefully, in life. "The American Dream Essay (Example Completed in 2019)." Aceyourpaper.com. Student Network Resources Inc, 4 May. 2017. Web. 19 April 2019. Student Network Resources Inc. "The American Dream Essay (Example Completed in 2019)." Aceyourpaper.com. https://www.aceyourpaper.com/essay/american-dream-essay/ (accessed April 19, 2019).